The chair of the Governing Body of the International Labour Organisation, Misako Kaji, says she is happy to announce the satisfactory conclusion of the Article 26 complaint against Fiji. 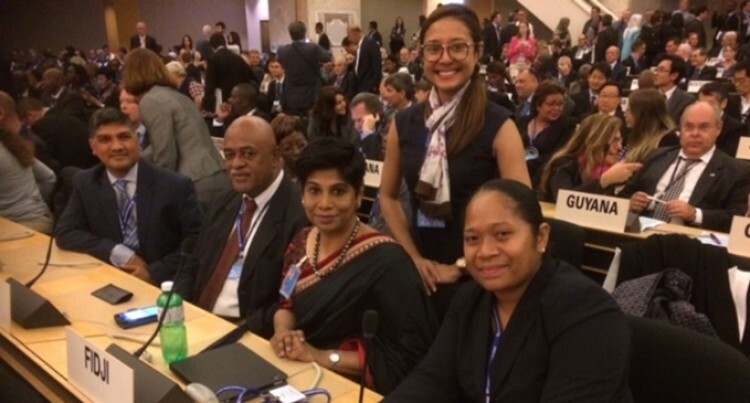 She said as a result of the investigation by the Governing Body in 2016, the matter in relation to Fiji was declared closed in the March session of the ILO Governing Body. Fiji was the only country specifically mentioned in the Ambassador’s statement to the conference. The Ambassador was presenting the 2015-2016 Report of the ILO Governing Body to the International Labour Conference in Geneva today. Fiji is represented by a tripartite delegation, made up of the Ministry of Employment, Productivity and Industrial Relations, the Ministry of Foreign Affairs, the Attorney-General’s Chambers, the Fiji Trades Unions Congress, and the Fiji Commerce and Employers’ Federation.